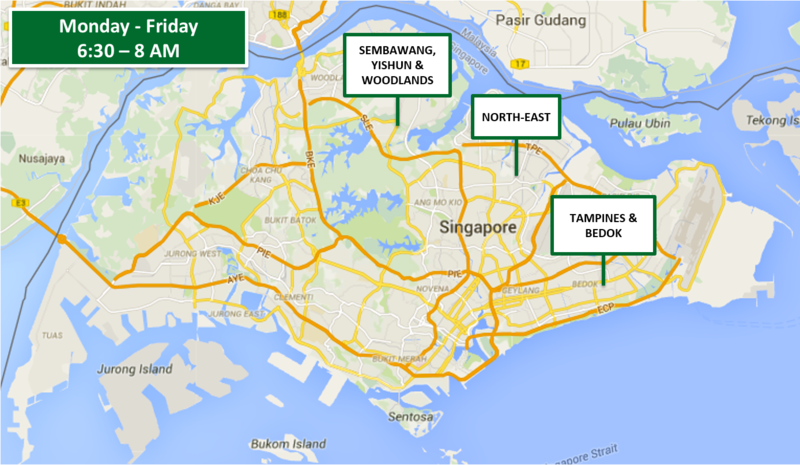 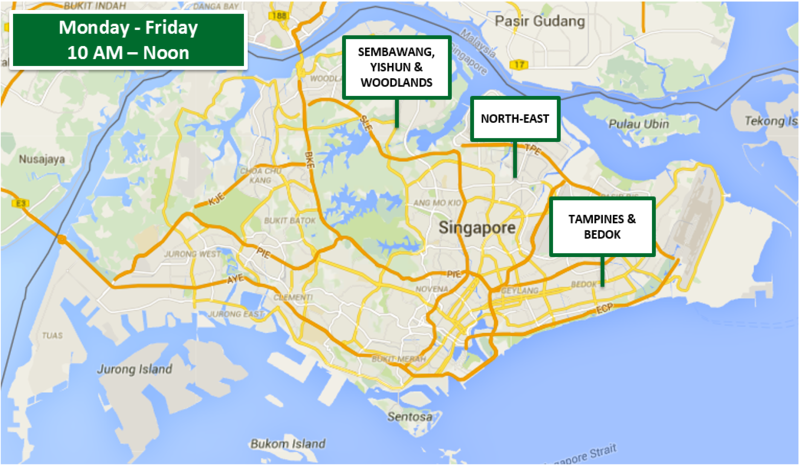 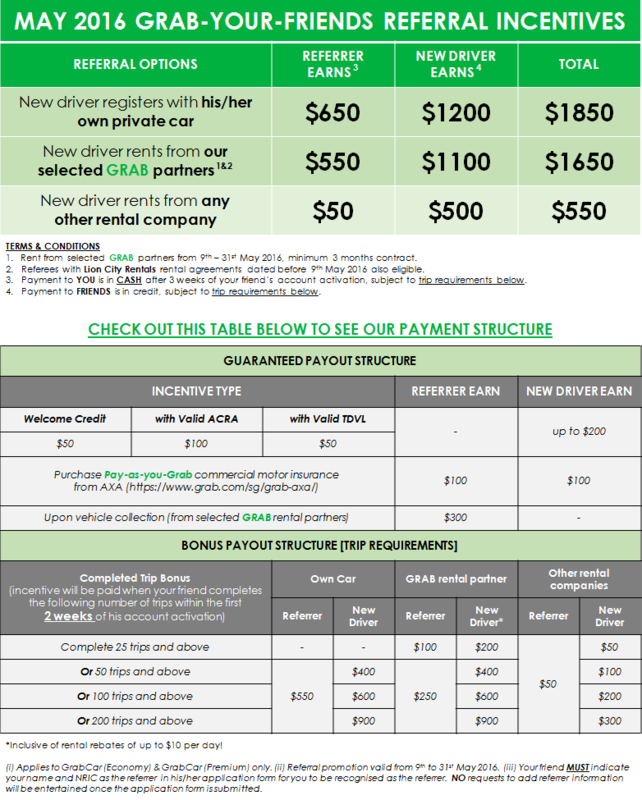 Drive For GrabCar to earn more than $54 per hour! 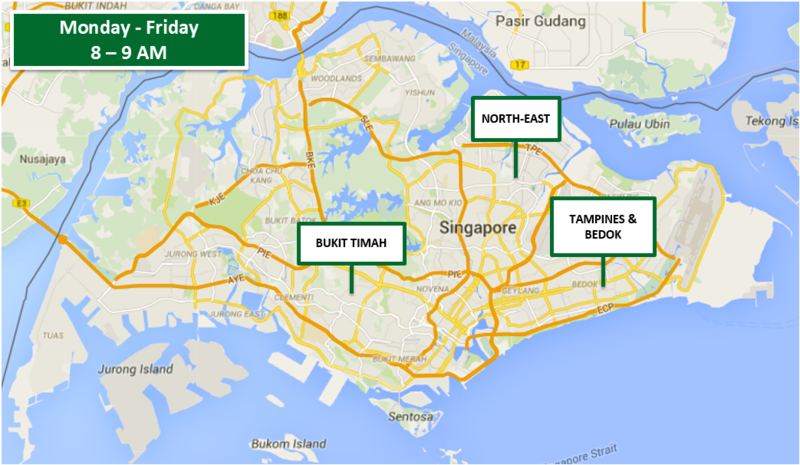 Drive as much as you can on GRAB! 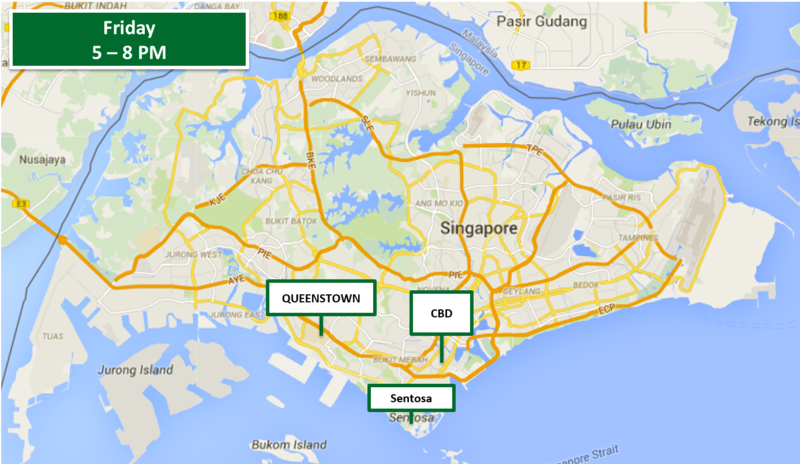 The more fares you collect, the higher your Average Fare Guarantees! Tip 1: Most partners achieve the $36/trip guarantee with 8 or less weekly trips from 8-9AM! 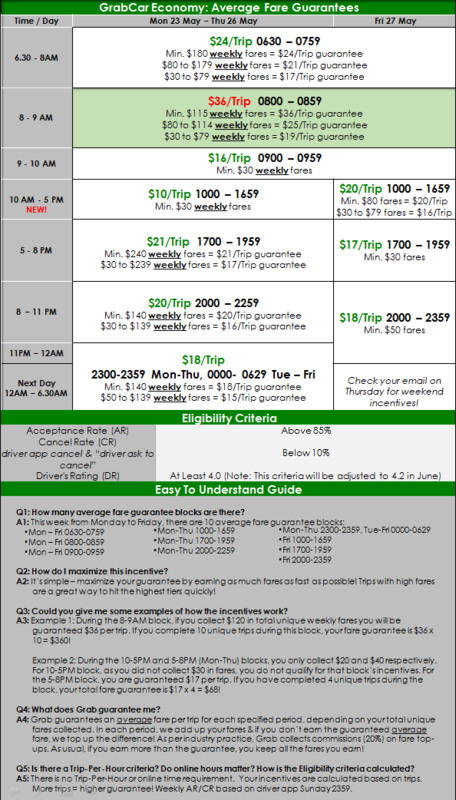 Tip 2: Partners guaranteed $36/trip usually earn above $54 in guaranteed hourly fares! 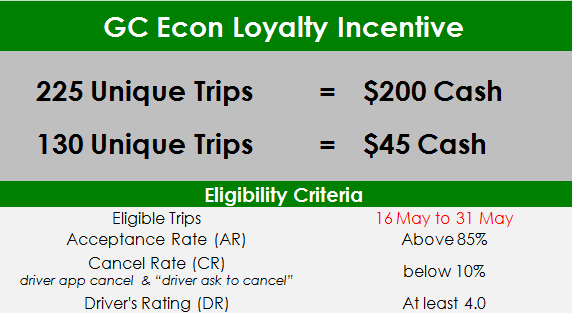 From 16 May to 31 May, complete at least 130 trips and we will reward you with loyalty incentives in cash! 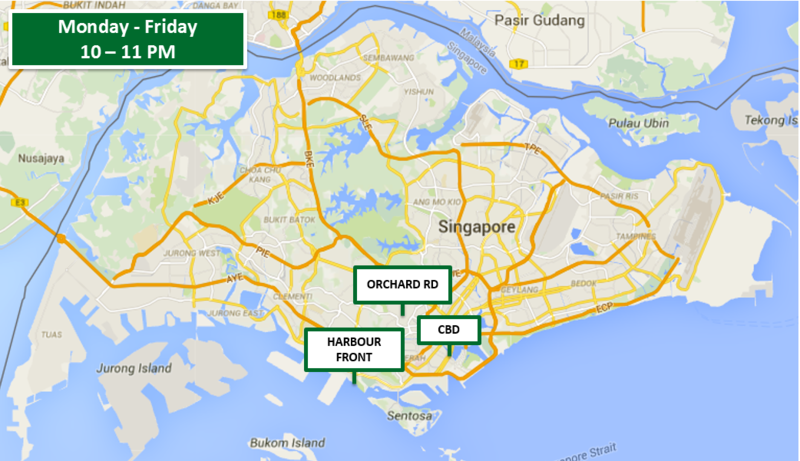 COME find out more at GRABCAR Office or call: 8721-8637.